The OX5 oxygen generator produces up to 5 litres per minute of oxygen at >93% purity from a compressed air supply. Simple, reliable and serviceable. OX-5 Oxygen Generator / Oxygen Concentrator. 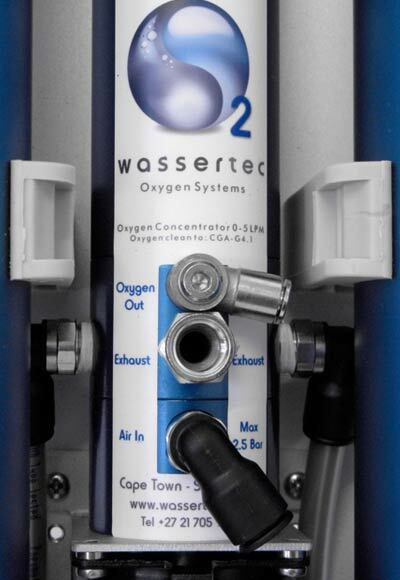 In 2005 we decided to design an oxygen generator to compliment our ozone technology. This is because you need oxygen to make ozone. Two years of design and development led to the creation of our OX5 oxygen generator. 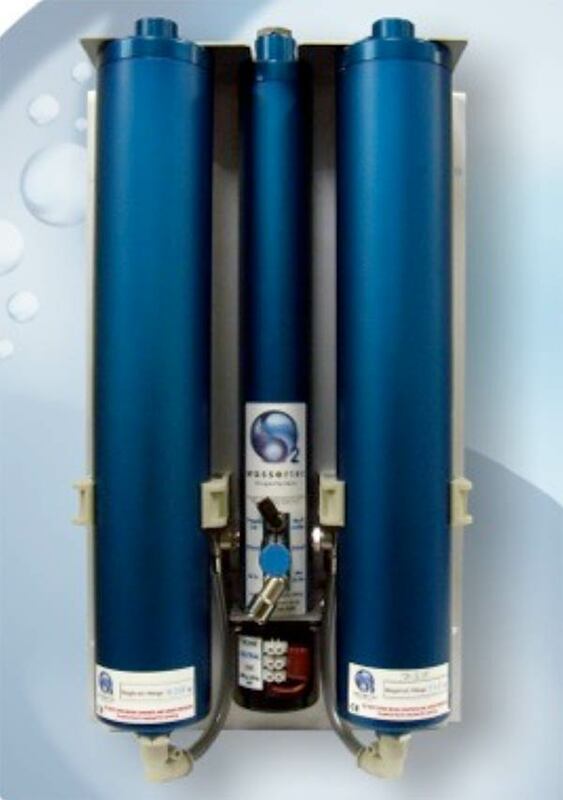 It produces up to 5 litres per minute of oxygen at >93% purity from a compressed air supply. It’s simple, reliable and above all, serviceable. Made entirely from CNC machined aluminium, the OX5 uses a specially designed ceramic rotary valve to send air alternately to a pair of cylinders. 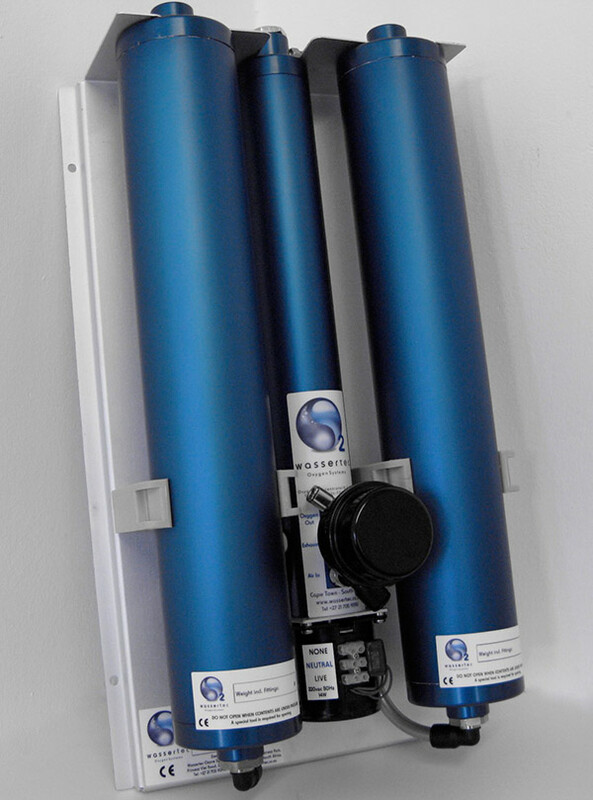 These cylinders are filled with a ‘Molecular Sieve’ which separates the oxygen from other gases in the air. The quality of the molecular sieve is critical to the performance and reliability of the system. We only use the highest quality ‘Nitroxy 5’ sieve, imported from France. The OX-5 works on the principle of pressure swing absorption to generate oxygen from compressed air. Air is pumped through columns of a molecular sieve which alternately produce Oxygen, or purge Nitrogen & moisture. Central to the design is the rotary distribution valve which reduces complexity and improves reliability. The unit is constructed entirely from CNC machined 6063 Aluminium. There are no plastic components in the body of the unit and nothing fragile. Innovative use of angled drilling techniques allows the tube end caps to be machined from a single billet. 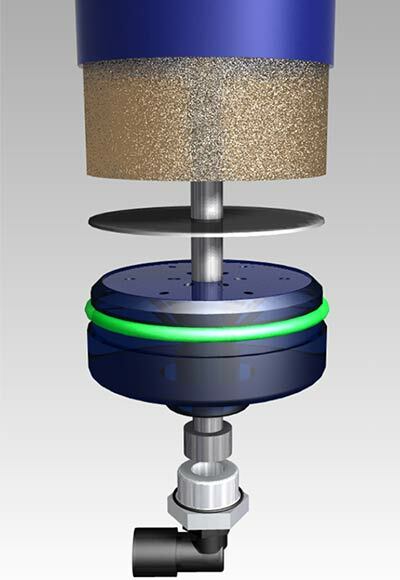 A simple yet sophisticated rotary valve distributes compressed air evenly between the sieve columns. 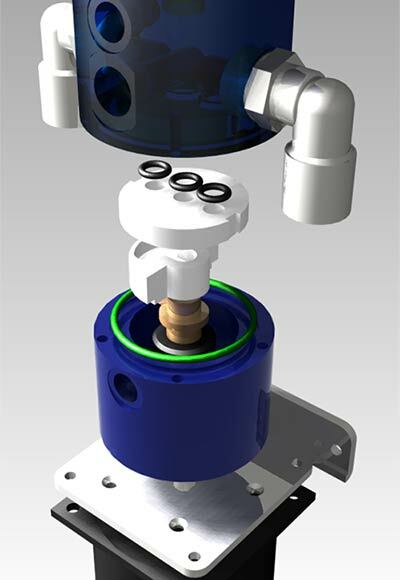 The valve removes the need for complicated electronics and solenoid valve assemblies. The sieve columns contain only the highest quality molecular sieve from Arkema. The sieve columns are designed for quick and easy replacement of the sieve in the event of water damage. The central column houses the oxygen receiver as well as the rotary distribution valve. Quick connect push/pull couplings allow sieve columns to be exchanged in minutes.